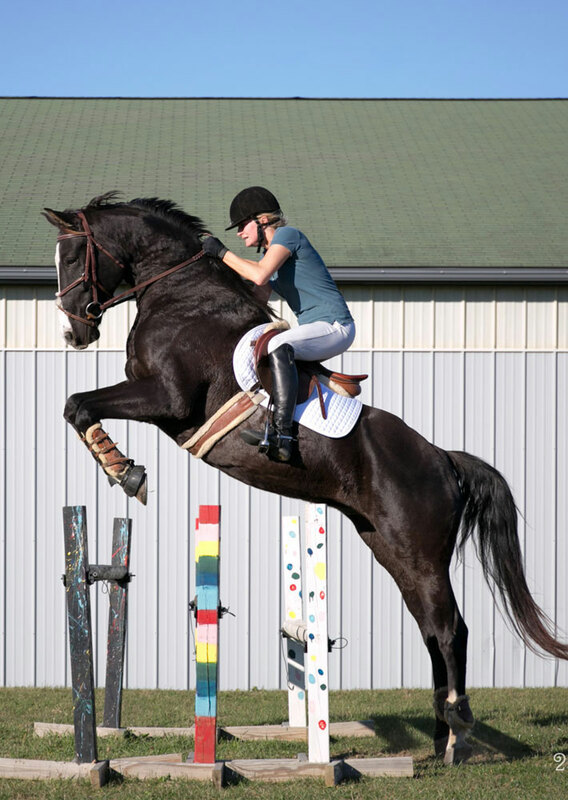 Kristen Savage grew up outside of Cleveland, Ohio, training and showing in the Hunter/Jumper circuits beginning at age 6. She moved to Goshen, Indiana to attend Goshen College, and graduated with degrees in Elementary Education and Special Education, and a certificate for Teaching English as a New Language. She taught at Chandler Elementary for 6 years while running her equine program on the side. In 2018 she transitioned to running the Savage Riding Academy full time, and is currently working on creating a nonprofit program to run alongside that teaches leadership skills to at-risk youth through working with animals. The Savage Riding Program was created by Kristen Savage in 2011 to teach about horses in a more comprehensive and progressive way. The program is designed to combine research-based practices on teaching and learning with authentic hands-on experiences. Students of all ages and abilities work together to learn not only to ride, but also to understand and care for our four-legged partners. We offer a wide variety of services to our community, including lessons, training, parties, field trips, horseback yoga, trail rides, and custom events. The Savage Riding Academy is run out of Wellington Farm, which is uniquely nestled in the heart of Goshen, Indiana. It is just south of downtown, and its private acreage is surrounded by City Park woods and trails. Because it is connected by both road and the Millrace Canal Parkway, you can reach us by car, foot, bike, and even canoe! The facility houses an indoor and outdoor arena, a heated viewing and tack area, and private wooded trails. The farm houses a variety of animals, and is owned by Karen and Jim Wellington. I'd like to take a minute to talk about this picture, which happens to be my favorite of the hundreds, maybe thousands, that I have. Let me start by saying right off the bat that this is not a perfect picture, and to me, that is kind of the point. I rode this horse too deep into this line and he responded by launching me vertically with the G-force a rocket ship would envy. His knees are not tucked neatly under himself, and my hands are not making a nice soft line to the bit. But he jumped it without the slightest hesitation, because through persistence and training, I had developed in him the heart to do so. What you don't see in this picture is that it was his first time being faced with a 3'6" triple oxer. You don't see his first month in the program having so little confidence that he refused to even step over a ground pole. You don't see that this horse had sat in a field virtually untrained until he was nine. And yet here we are, captured in a moment of trust, heart, and will that defies all of those odds. To me, being a trainer in this sport is not about developing perfection, but about developing heart. Developing heart in the rider means accepting mistakes, learning from them, and moving forward. It means waking up in the wee hours of the morning to get the horses fed and ready before you've had your own breakfast or looked in the mirror. It means acknowledging that regardless of whether we're in this sport for competition or camaraderie, we're all here for the horses, and it is our duty to never lose sight of that, even amidst the thrills of blue ribbons and the stress of vet bills. It is our duty to understand what your horse is communicating to you when he is not acting the way you had hoped, and respect his voice, too. Without a horse-first mentality our sport is null and void. It's also about developing heart in the horse. For some unknown miracle, they entertain our crazy human antics of running in circles and jumping over things. While some are born with a desire to please, developing true heart in a horse is a complex, long-term task requiring vast patience, deep understanding, and a strong respect for the horse and the sport we are in. It takes real time and real effort to dig into horse psychology and truly understand our equine partners - the hows, the whens, and the whys - but if we don't, we are missing out on the opportunity to make that necessary connection. Only then, when one embraces the less-than-perfect moments, respects the animal's needs before their own desires, and truly seeks to understand, can they help their horse truly develop heart. Only then will they find themselves on top of a partner with the willingness to try anything for them. Only then will they find their horse soaring over a virgin 3'6" triple oxer from a nearly impossible distance without so much as batting an eye. And that is truly what we mean when we say our program is about more than just riding lessons.